Regular service hours 7 days a week until 9pm and emergency 24 hour service-never talk to a machine. Whether you have an oil, natural gas, or propane furnace or boiler, a heat pump, or AC system, our team of highly certified technicians are here to ensure that you always have a knowledgeable and professional person working on your equipment. Our technicians are able diagnose and repair even the most complex systems quickly, saving you time and money. We are committed to customer service, and staff our office 7 days/week from 7am-9pm in addition to providing express and emergency service 24 hours/day. We service customers throughout Syracuse, Ithaca, Rochester, Auburn, Webster, Pittsford, Cortland, Canandaigua, Fairport, and more! It's hard to get a service person in my area to even respond to my calls, let alone accommodate my busy schedule. Can Halco help me? Our team of fully trained technicians provides superior heating and cooling service to the entire Finger Lakes and Central New York regions with regular service hours seven days a week until 9pm and emergency service 24/7. All calls are taken by a real person - never a machine. What types of HVAC work can Halco provide? What is the Discount Club? Our service agreements entitle our customers to an annual maintenance visit. Each spring or summer a Halco technician will perform our Precision Tune up, Cleaning and Safety Check on your system. Learn more about our service agreements here. Our most popular way to pay for the Halco Discount Club membership is with E-Z pay. This is a paperless, simple, and affordable way to pay for your membership. Learn more about E-Z Pay here. Frankly, I have been uncomfortable with some service people who have come to my home in the past. What can I expect from a Halco technician? All of our Service Technicians submit to a strict background check, have been tested and proven drug-free, and are held to the highest possible standard of ethics. The technician will arrive in a clearly marked vehicle and uniform, will quote a flat rate for the work you would like done, and will only proceed upon your approval. Read our testimonials to check out what your neighbors have to say about us, or call to set up a visit today. You won't be disappointed! 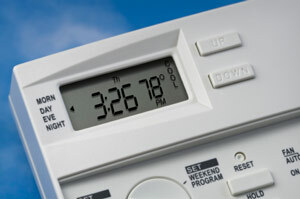 There is no good time for your HVAC system to fail! If your system is not working right (or has completely failed); we can identify and fix the problem, and get you back to comfortable as quickly as possible. We staff our office 7 days a week until 9pm, and provide emergency service 24/7. Whether you need help with HVAC, electrical or plumbing, we are here when you need us. Call us today or request an estimate online by filling out our simple form.